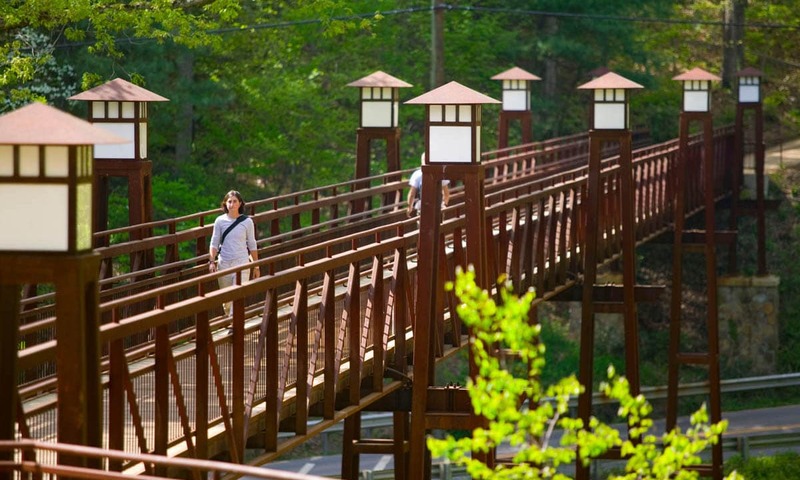 As a joint project of Warren Wilson College and the North Carolina Department of Transportation, the bridge provides pedestrians and bicyclists a safe way to cross the busy and winding state highway that bisects the campus. The oxidized steel structure, stone foundations, and mission style lanterns blend with the rustic surroundings of the campus and give the bridge a sense of permanence and history. 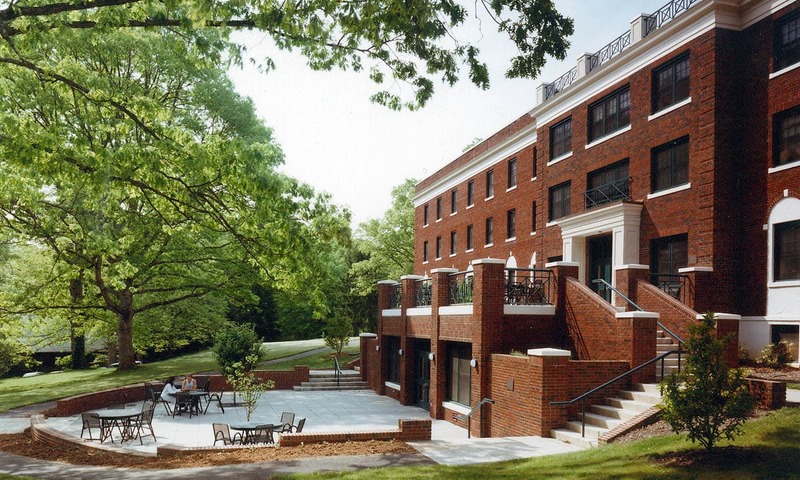 The Sunderland Hall renovation illustrates how Samsel Architects successfully transformed an aging structure through improved space planning, modernization of systems, and façade improvement. Thoughtful integration of modern systems and equipment were key challenges of the project. A new entrance facade was created to both improve functional use as well as create a sense of place and identity. A large terrace was added at the building’s improved entrance, providing a multifunctional outdoor gathering space. The timelessness of the design solution has proven successful since its completion.